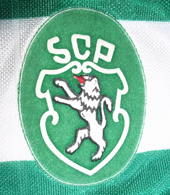 Verdebranco is dedicated to green white hoops - mainly Sporting Lisbon because that's our Club, but all other teams in the world that wear the hoops are welcome here. 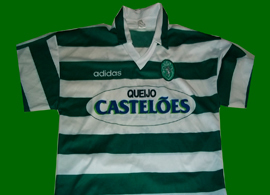 In fact, the Verdebranco collection did not start as a Sporting collection, but as a green white hoop foreign team collection. 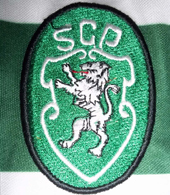 We had a couple of Sporting shirts, but the collection as such started when we got our very first Celtic FC shirt. 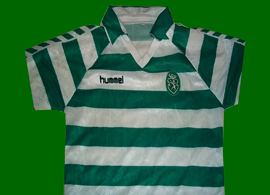 Celtic Glasgow has had some of the best green white hooped shirts made anywhere in the world, they always kept it simple and beautiful. So it should not be a surprise to know that, in a regular month, about 40% of our visitors come from outside Portugal. 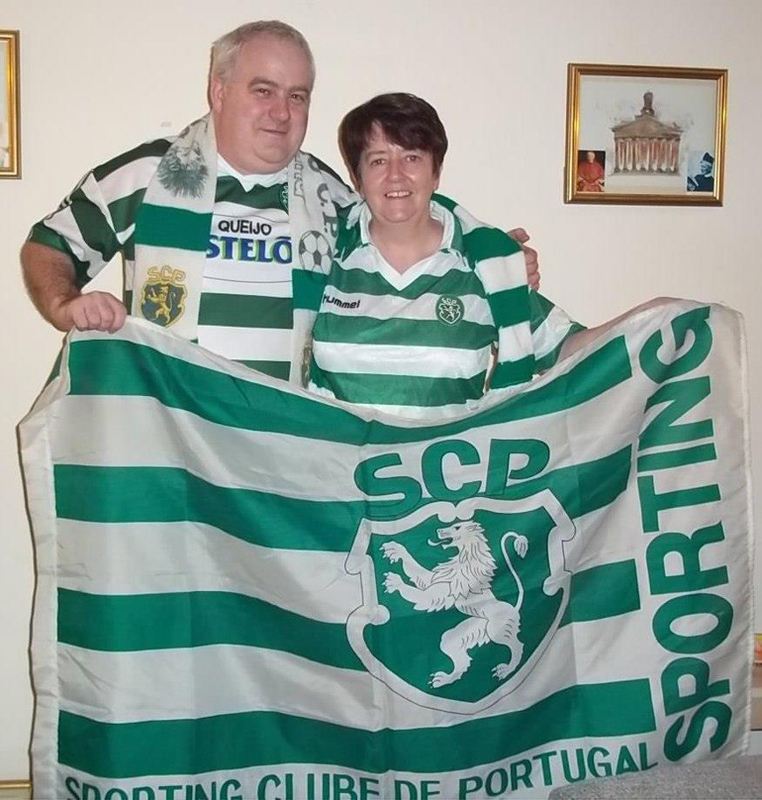 Surely many are Portuguese immigrants (plenty of those, and increasing), but very many are green white hoops fans from other countries. Greetings from Glasgow: Hi Nuno. My Adidas Sporting shirt arrived from Poland. This is myself and my wife Maureen. Maureen is wearing my Hummel shirt that I bough many years ago while on holiday in Portugal. I also got the flag and scarf on that holiday. My new Adidas shirt is little too small for me to wear so I may have it put into a picture frame or I will have to go onto a very strict diet. So what can I say? I love this photo and these shirts! Thanks Daniel!!! And I asked for closer pictures from these two fantastic shirts, and here they are!